This is a post as part of my participation on the Michael’s Makers Blogger Team. All opinions are my own. I know you don’t want to talk back-to-school yet, but I’m excited to get this idea out there so that you can make it this summer and be ready when the start of your school rolls around. 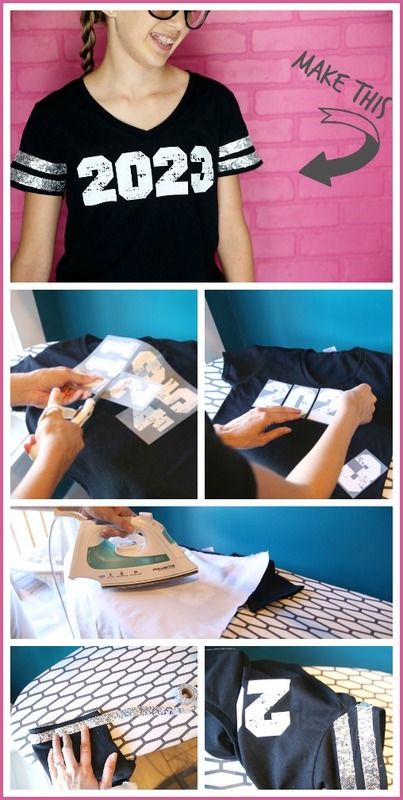 This DIY Grad Year Tee turned out just as awesome as I saw it in my mind! You’ll love making one for yourself or your kiddo! 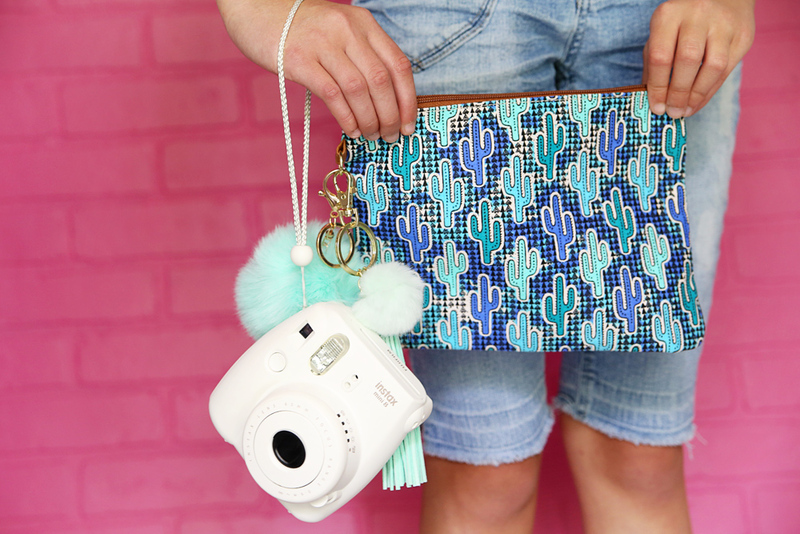 From crystals to pom poms to tassels & patches, Michaels has everything you need to bling out Back To School! 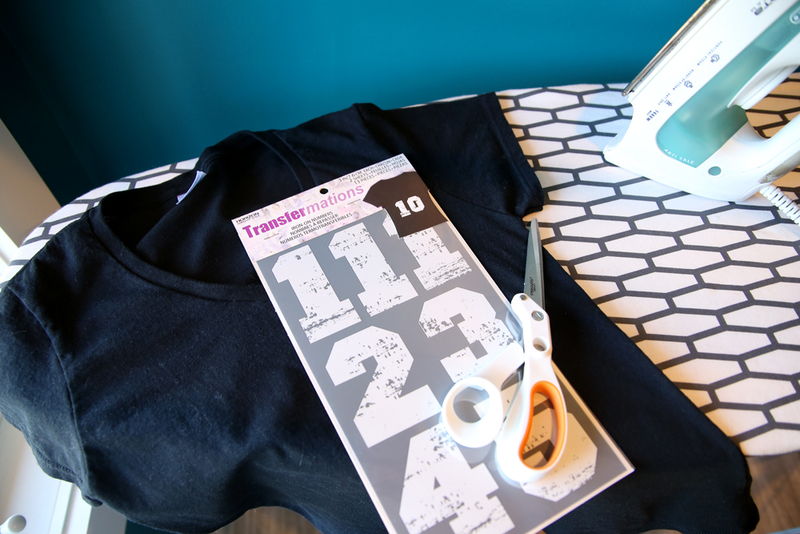 First up you’ll cut apart the numbers you need. The pack only comes with a single “2”, so I needed two packs for this project. Next you arrange them where you would like them to go on the tee. 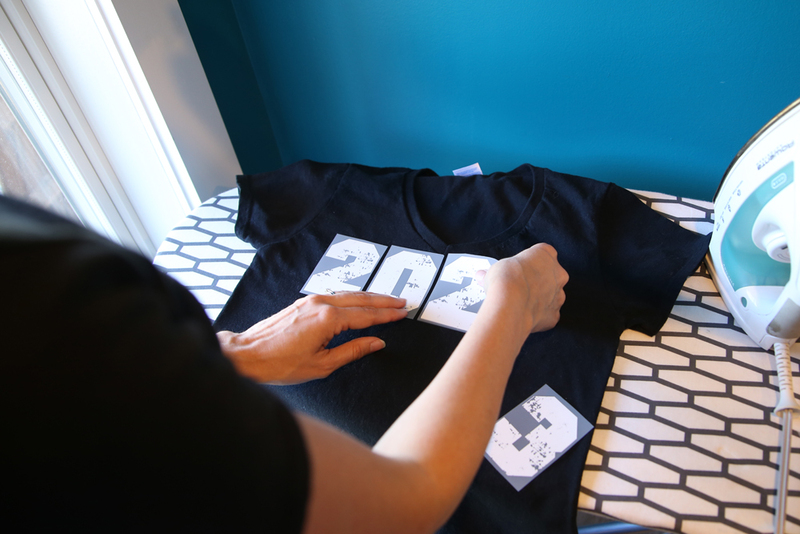 If you’re unsure, try the tee on and try out different placements while you’re wearing it. 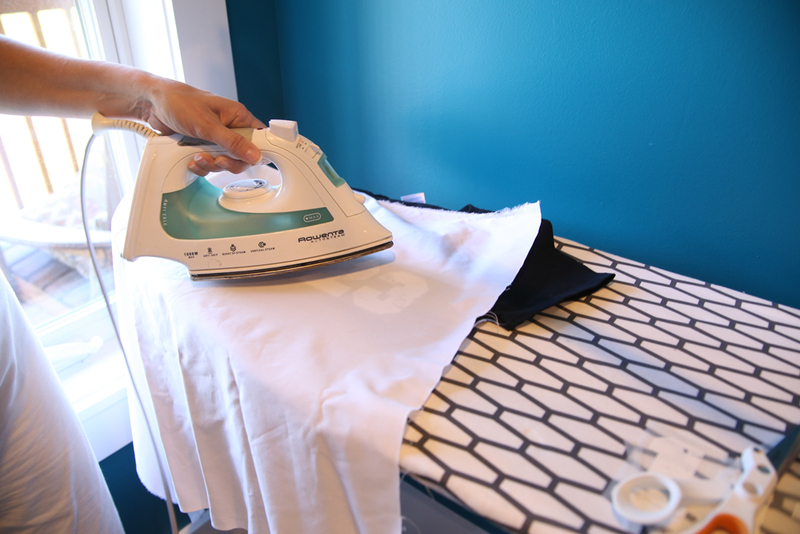 Next up, place a cloth between the transfer and your iron, and press firmly according to package directions. Then you’ll want to turn the tee inside-out and press some more, sealing in the backside of the transfer. 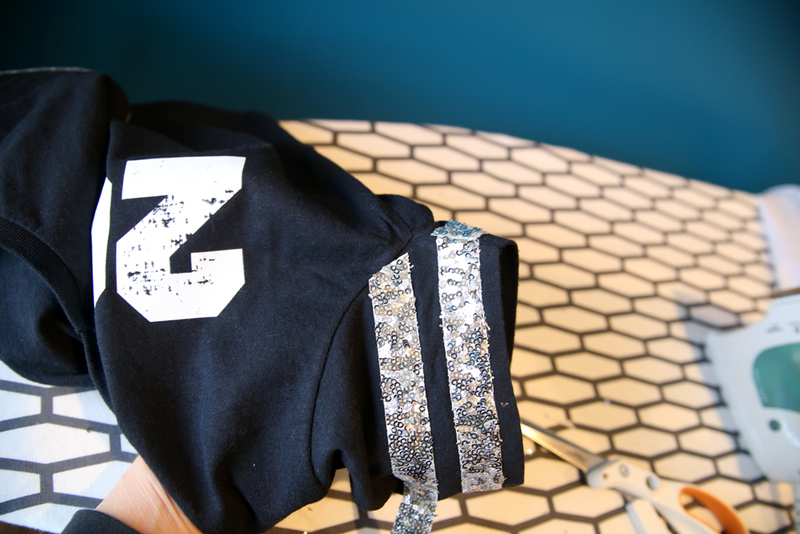 My daughter wanted sequins so I was super excited to find sequin tape that irons on! 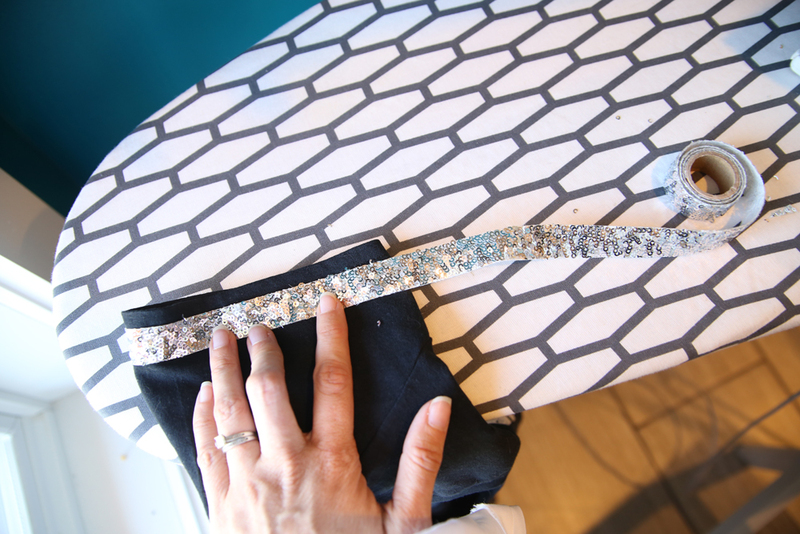 I can’t imagine having to sew on sequins by hand! 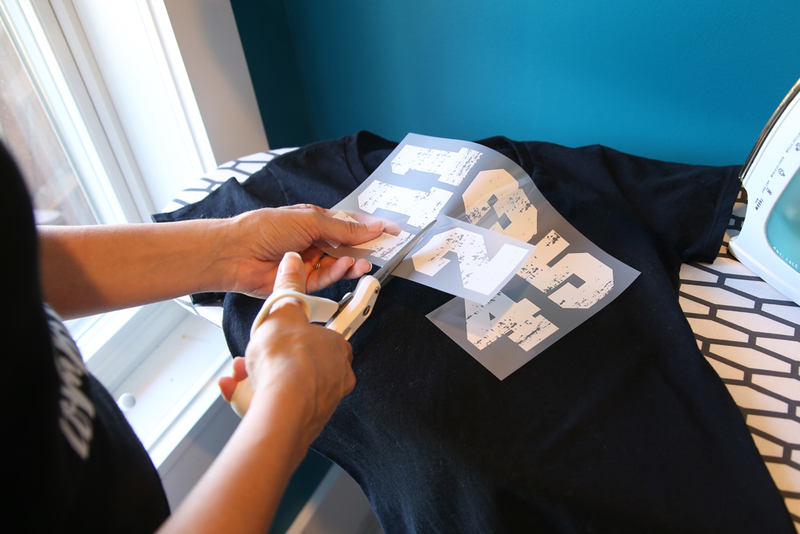 With the tape, just iron slowing around the hem of the sleeve, according to package directions. I loved the sporty look of parallel stripes, so I added two stripes to each sleeve. That’s all there is to it!! Wear and enjoy! Sneak peek – – coming soon is a super simple tutorial on how to make your own ombre shoes – perfect kicks for back-to-school! This is so cute but makes me feel old! !